Sri Lanka requires an immediate appointment of a tax ombudsman, asserted a leading lawyer in the country, as the need for such a post is felt now than ever before due to the changes in the income tax regime and the implementation of the Revenue Administration Management Information System (RAMIS). 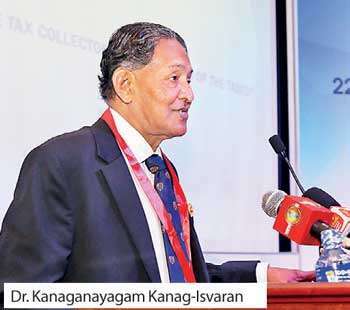 The need for a tax ombudsman was stressed in order to prevent tax payers running from pillar to post to iron out and clarify issues, said President’s Counsel Dr. Kanaganayagam Kanag-Isvaran delivering the annual oration on taxation at the Institute of Chartered Accountants of Sri Lanka (CA Sri Lanka) this week. “I believe the time is opportune to address the concerns of the tax payers by appointing a tax ombudsman along the lines of the South African experience to achieve a balance that will enhance the degree of equity and fairness in the tax administration,” he said. “We should not be wanting the phenomenon of the Parisian ‘yellow vests’ with our proposed carbon tax”, he added. Sri Lanka saw the introduction of the concept of tax ombudsman in November 2004, in the national budget. While the administrative framework and operational guidelines with regard to the tax ombudsman mandated to a period of two years, no successor was appointed following the completion of the tenure of the first tax ombudsman. Former High Court Judge Maxwell Paranagama was appointed as the first and the only holder of the office. The Budget 2017 too proposed the establishment of a tax ombudsman by an Act of Parliament to resolve grievances of taxpayers. Dr. Kanag-Isvaran noted that one of the concerns expressed to be addressed is the absence of proper mechanisms to articulate and lobby the interests and concerns of the body of tax payers in general and of tax reform, in particular with the tax policy makers and the government on an ongoing basis. “The Sri Lankan tax regime has provided safeguards to preserve the rights of the tax payers by way of administrative review by the Commissioner General of Inland Revenue (CGIR) under the New Inland Revenue Act. However, this process is limited in scope to the interpretation and construction and application of the relevant tax statutes,” he stressed. According to Dr. Kanag-Isvaran, at present, a tax payer who desires a clarification on a matter relating to the interpretation of tax statutes may also resort to private and public rulings referred to in Chapter IX of the Inland Revenue Act. However, this too is strictly in relation to interpretation, construction, and application of the technical aspects of the tax statutes. It is outside the statutory scheme that an institution such as the ombudsman would address grievances.